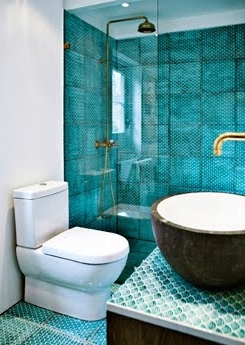 Small bathroom design ideas with tile impart panache and style in the examples featured here. 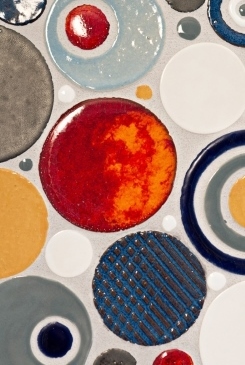 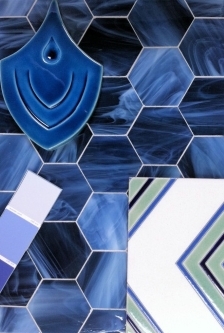 An assortment of tile shapes and sizes come together in a chorus of color! 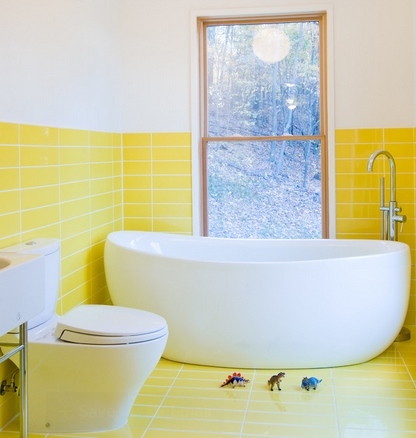 Large yellow tiles brighten a small bath (below) in a cabin update by Reader & Swartz Architects. 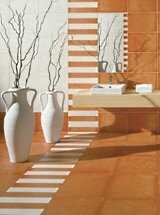 Vertical stacking lends contemporary flair. 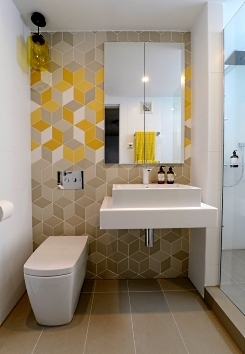 A sea of square patterned tiles lines the floor and shower in the striking design below. 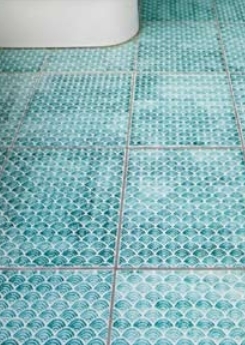 The Komon collection from Danish producer, Made a Mano, features smooth lavastone and machine cut cotto in a wide range of sizes. 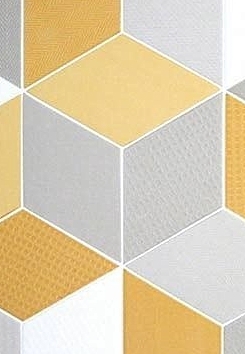 The collection includes 12 different patterns and 24 color options. 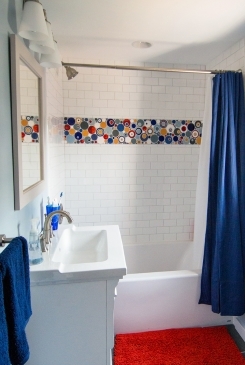 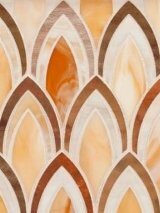 A band of bubbles streaks across the shower in a small bath design from Mercury Mosaics. 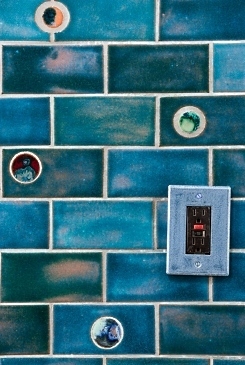 Framed by white subway tiles, the colorful accent in the aptly named "Bubbles" pattern is shown in Antique Pewter, Baby Blue, Deco White, Cobalt, Fire, Baroque Gold, Sapphire Blue and London Fog. 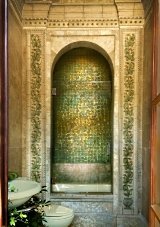 Inspired by the wonders of the cosmos, handmade ceramic tiles from Clay Squared To Infinity line the walls of a small bath. 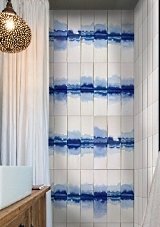 Glazed subway tiles in beautiful shades of blue (Robins Egg) are accented with "planets" from their Cosmic Cloud collection. 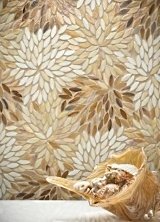 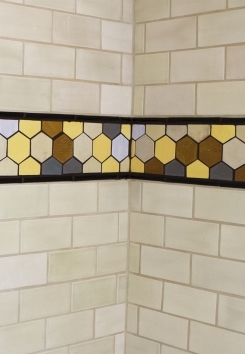 Hexagons from Mercury Mosaics' Honeycomb series accent the floor, walls and ceiling of the bathroom pictured below. 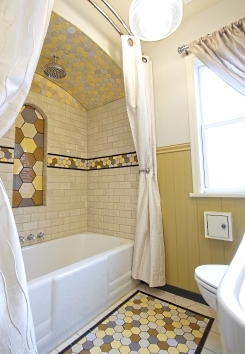 The hexagonal tiles, shown in Ash, Sun Yellow, Cornmeal, Deco White and Cashmere Creme, both complement and contrast with the subway tiles surrounding the tub. 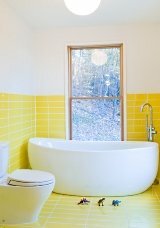 Please check back often or subscribe to our RSS feed, as we frequently add small bathroom design ideas to our site. 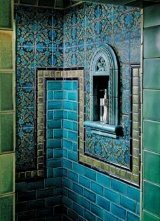 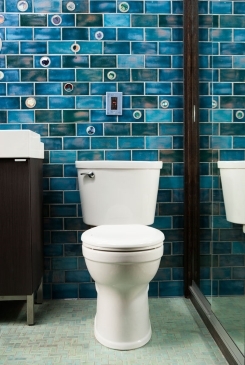 Bathroom Tile Design Ideas...Classic to Contemporary!